To check whether your DubaI Visa is approved stamped or not the general directory of residency dubai provides an online entry system which facilitate you to check you Dubai Visa status(eDNRD Application). This system also enable you to get more information about validity of visa and eform application. All this process is take place in Application called Query DNRD App after entering in to the application you just need some basic information such as visa number ot smart form number. Companies and employers now easily check staus of application and validity of their staff and workers online throught ednrd. Ednrd.ae eServices fully uses modern day technology to provide all these benefits to applicants one of the main aspect of this service is that it is totally free without registration and minimize applicant time required for going immigration offices. Applicants are no need to stand in lines at immigration offices just typing some details on app give them what they need. The general directorate of residency and foreign affairs is doing best to make UAE most safest country of the world. 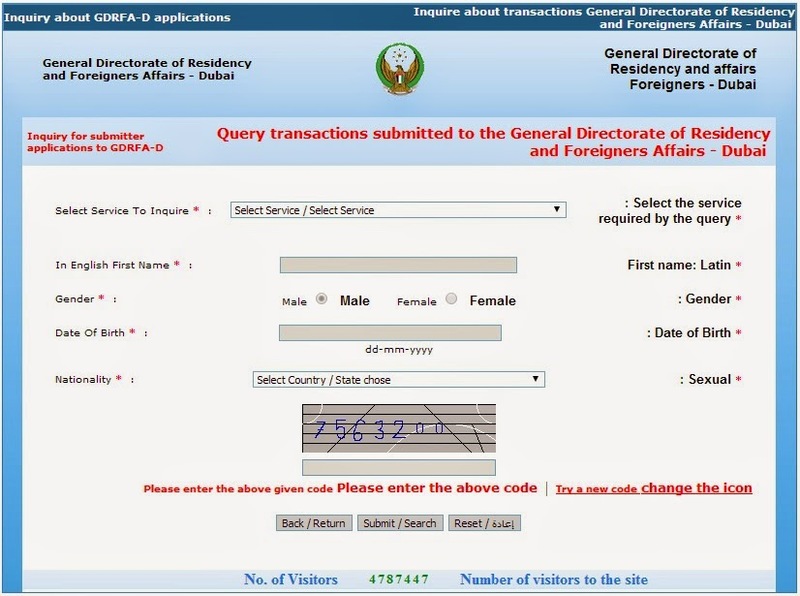 In this fast world where mobile is now in every child pocket, that ways GDRFA-D introduces a smart phone application for both Iphone and android user download this application from official website here you access services like smart travel visa inquiry, local services, media, legal services and on arrival visa extension.